This is the time of year for retrospectives. Everything from films of the year, best theatrical productions, best music releases, best art exhibitions, and not forgetting the many creative artists who have passed away over the past twelve months. It has been quite a year in so many ways. So just before December’s weekend supplements publish recommendations by a mix of academics, poets, artists and famous citizens about all kinds of books they have read and recommend, let me list a few good ones that have kept me going in 2016. 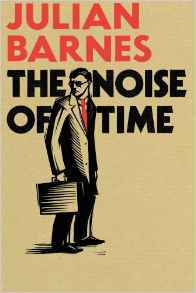 Written by the winner of the Man Booker Prize in 2011, Julian Barnes, this is a fictional account of the life of the great Russian composer Shostakovich and his survival under the despotism of Stalin. The impact of tyranny, however, is brilliantly articulated by both authors. One fascinating non-fiction book to catch my attention this year was “Lingo” by the Dutch journalist and multi-linguist Gaston Dorren. In a year when European integration has been the topic of intensive debate, this humorous book reminds us of our inextricable cultural connections by examining fifty or more European languages and dialects. Full of amusing anecdotes, Dorren observes all kinds of linguistic parallels, including examples of words which English has borrowed from many of its European neighbours. Never does a year pass in the modern era without something original and brilliant coming out of the north-west of our continent. Among others, let me mention two "Nordic" novels. One represents the tried and tested genre of crime fiction, noir being the word, so consistently portrayed by their authors; whereas the other book is a total contrast being funny. Another gripping novel in a similar vein, in terms of empathy with issues of ageing, was given to me by a friend at no cost thanks to the generosity of the year’s World Book Night in April. This beautiful story, “Last bus to Coffeeville,” is set in the United States. Its author is J Paul Henderson. Closer to home the next crime thriller novel and a winner of Los Angeles Book Prize for fiction was recommended to me by my bibliophile wife. “The Twelve” by Stuart Neville is a page-turning tale set in a bleakly realistic Northern Ireland suffering the appalling and violent excesses of the so-called Troubles. Ulster noir feels even more unsettling than its Scandi-equivalent, in this case probably because Neville is fictionalising events against the reality of recent history. A special mention has to go to the Irish Times journalist and commentator Fintan O’Toole. I finally got around to buying his non-fiction book, published a couple of years ago, and which was inspired by the encyclopaedic “A History of the World in 100 objects” by Neil McGregor. 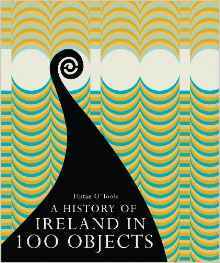 O’Toole’s diligent research and knowledge have resulted in the very impressive “A History of Ireland in 100 Objects.” These companion pieces are two desirable objects in their own rite. 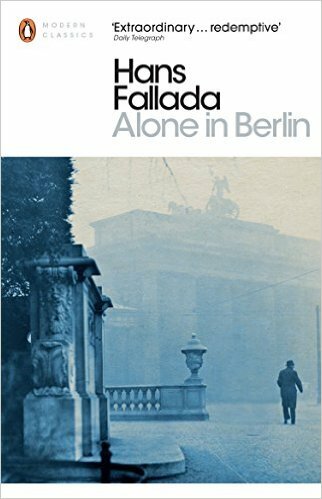 The best novel I have read in 2016 is “Alone in Berlin” by Hans Fallada. Originally published in 1947[iii], it was not translated and published in English until 1975. In some ways, the harrowing narrative parallels the Julian Barnes story about surviving Soviet tyranny. Fallada, like Barnes, bases the story on a real-life events, namely that of a German couple (nondescript compared to the Shostakovich protrayed by Barnes) trying to stand up to and resist the domestic impacts of Nazi horrors. Taken together, such novels illustrate both the meaningless of labels like right and left to describe authoritarianism; and also that evil flourishes only when good men sit back and do nothing. Finally, having begun by setting an objective to present a selection of books that I have read before the professionals publish their lists in December's weekend supplements, I see that the papers I buy on Saturday[iv] and Sunday[v] have already - on this final weekend of November - embarked on that process. And, in very thorough style too. Even if there’s no way I can pip them, I might as well try and join them.